After sharing a story about the biggest fail of my musical career on the I Quit Fear blog (which you can read here), Best selling author and radio host Chris Fabry asked me to come on his program and tell my story. What resulted is a great conversation about working through fears in our lives. Chris has been a long-time friend and it was fun to reconnect with him after many years…even if it just so happens that thousands of people were listening in to our conversation. Enjoy! Click the player to listen. 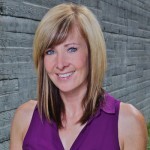 Dawna Stafford is a public speaker, athlete and COPE Certified Health Coach. She started the I Quit Fear movement to challenge and inspire people to learn to work with their fears, to push into and through them in order to live a complete life and live out their passions. Copyright 2014 - 2019 I Quit Fear. All rights reserved. FEAR is a strong motivator but it will always let you down. FEAR is a mask that will hide your authenticity. It steals dreams, shatters relationships and obstructs goals.It destroys life. I Quit Fear so I can LIVE.